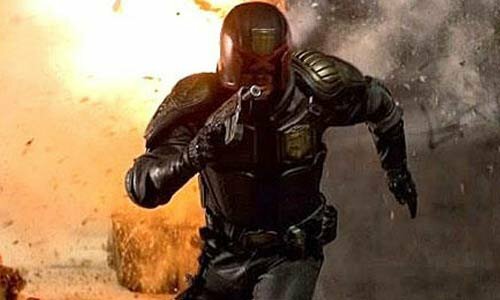 Unlike the Total Recall remake, this Dredd is not a re-imagining of the 1995 Judge Dredd movie but of the 2000AD comic book source material. Sadly for a lot of people, Sylvester Stallone as Judge Dredd in Danny Cannon’s exceptionally flawed but thoroughly entertaining adaptation of the iconic British comic-book anti-hero is all they know of the character. While the look of the 1995 production was very crisp and it’s comic book origins were clearly obvious in everything from the design of Mega-City One itself to the costumes because they remained faithful to the artistic depiction; Stallone however, slammed a black mark against it by removing Dredd’s helmet about 20 minutes in, irking all fans everywhere. As much as I enjoyed it for a popcorn movie, I was not very upset when I discovered my copy of it succumbed to the otherwise dreaded DVD rot! A new Judge Dredd movie concept had been bandied about for a while, once it was clear that there’d by no sequel to Cannon/Stallone’s effort. Eventually details emerged which cast Karl Doom/Star Trek Urban as the futuristic lawman but interestingly in a low-budget independent British production to be shot in South Africa. This intrigued everyone of course; people want Dredd on screen more than most other comic book characters - but surely not without the detailed neon and grime filled futuristic setting of Mega City One enabled only by several hundred million dollars today? If we had to lose that then there would have to be a story of such exceptional quality, strong characters and/or excessive violence for us to ignore the low budget shortcomings. Did we get that? No, but close. I do think we got was a thematically superior movie that certainly sated the lust for violence all true Dredd fans have. The plot to this movie is exceedingly simple: street judge veteran Judge Dredd and his new psychic 'mutie' young rookie partner Anderson [Olivia Thirlby] are sent to investigate a triple-homicide in the lovely sounding 'Peach Tree' block, a 200-floor tower filled with normal everyday citizens and naturally a generous helping of depraved scum and villainy. After arresting a suspect, the block's criminal overlord Ma-Ma initiates a lock down of the building until the judges are captured or killed prompting everyone in the building with a weapon to hunt them down. The judges, without much hope of rescue must play a game of cat and mouse survival to obtain their freedom. Urban delivers a near-perfect representation of Dredd from the comic books. His voice is pretty much what can be expected, Urban's own variation of Eastwood much in the same vein as Bale did Batman. He managed to make "I'm the law" a more character defining statement than Stallone's "I am the Law" which, while is the more correct phrase, was delivered as a laughable punchline in comparison to Urban's gravitas. Urban was emphatic about keeping Dredd's helmet on and fans will be pleased to know that it's never taken off. This lead the actor to have the unenviable task of acting the entire movie with just his mouth and vocal inflections. The fact that Dredd has never been one for smiling, laughing or positive emotion for that matter - meant that Urban had pretty much to portray the character with a half dozen different types of scowl. Dredd also starred Lena Game of Thrones Heady who delivers a terrific performance as the criminal master-mind Ma-Ma, a former prostitute who was disfigured by her pimp before she killed him and took control of her own empire. Thirlby who has been doing movies I've only vaguely heard of since 2006 was a great Cassandra Anderson, eager to prove herself to her mentor Dredd. Doctor Who and Holby City's Rakie Ayola turns in a cameo as a Chief Judge. Alex 28 Days Later Garland began writing Dredd in 2006, over two years before the movie's announcement. Pete Vantage Point Travis who is also well regarded as the director of the acclaimed 1994 TV movie Omagh, took the helm of Dredd and brought a very different style to the project that one would have expected. His work on Endgame in South Africa in 2008 obviously prompted him to perceive a new vision for MC1 which he has now brought to the screen. Design wise however I must level my most major criticism with this movie. Mega City One unfortunately did not seem all that "mega". 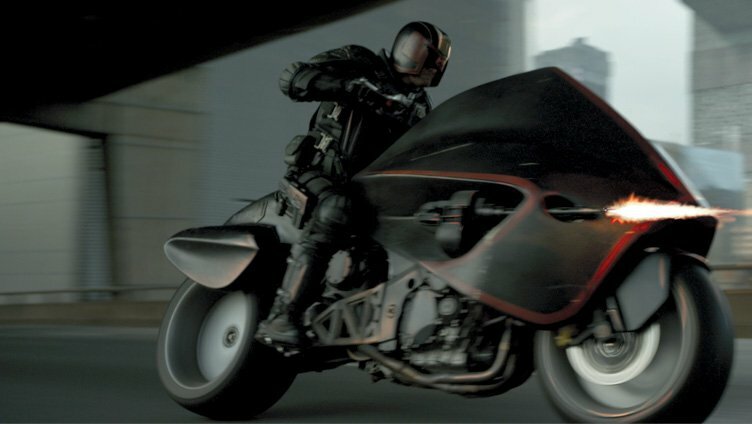 I knew that due to the small budget we'd not see anything close to a faithful representation of MC1 from the strip but it is such a central core element of Dredd that I feel that there is something huge missing from the movie. I don't think an orchestral score would have fit this at all, so no Alan Silvestri, but felt Paul Leonard Limitless Morgan's choice of representing the score with industrialised sequencing was poor. There are glaringly obvious similarities between this movie and this year's earlier video-game-like killing fest The Raid. 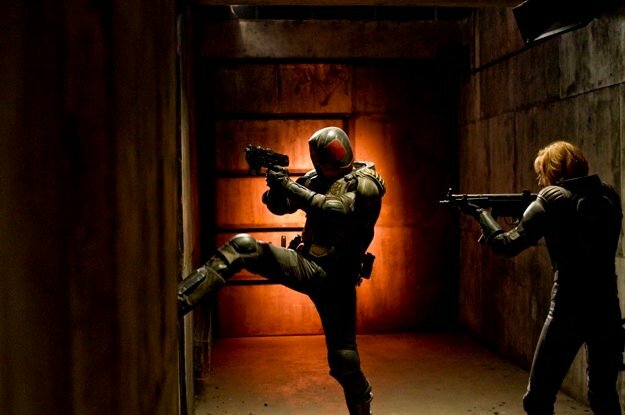 While The Raid may have been released first, development and principal photography of Dredd predates it. 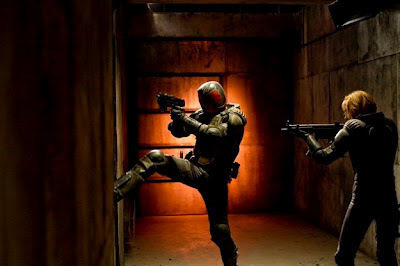 There's also no doubt that The Raid was a woefully disappointing mess at least to people who know what they're talking about, while Dredd has actual character development, a plot, real acting, cohesive direction and has Gatling guns. Final Verdict: Extremely violent and faithful take on a day in the life of Judge Dredd. AHEM...ARMAGEDDON,BAD BOYS II, STARGATE (really?!?!?) RESIDENT EVIL and of Course TRANSFORMERS , REVENGE OF THE FALLEN, the man lost my respect when he declared THE USUAL SUSPECTS one of the worst films he's ever seen?!?!?! What drugs are you on man? Demi Moore should indeed have been nominated the oscar for G.I.Jane. Granted it may not have been Ridley Scott's finest hour but it was certainly hers. Magnificent performance and streets ahead of "Shakespere Loves" monstrocity that a blubbering Paltrow won it for that year. Ebert doesn't get sci-fi so his opinion is indeed null and void on anthing with such elements, but as the only critic that ever movie-goer anywhere can name, his voice must be listened too. People buy his many many books of reviews, they pay money for his opinion. Bad Boys II was trash. Bay's borderline racist movie is nonesence, but it's nonesence that I like watching. The Usual Suspects is one of these overhyped "ooh it's so clever" movies like Sixth Sence that you can't really enjoy watching again - and therefore not worth it in the long run. But enough of this - what of a Dredd sequel. Can it happen? DVD/BD sales?